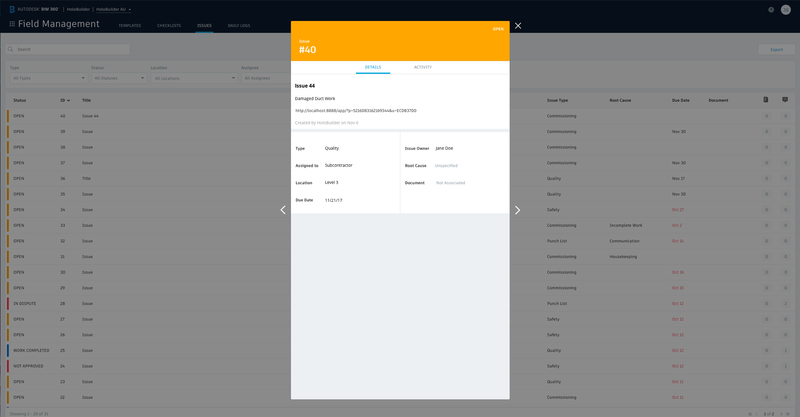 HoloBuilder is integrated with BIM 360 Docs and Field. Connect your floor plans and pictures managed in BIM 360 Docs and use them for your HoloBuilder project. 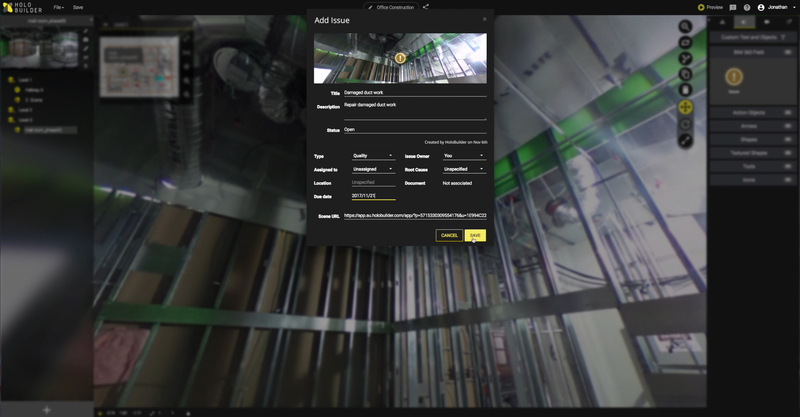 Once 360º pictures are captured with HoloBuilder, create BIM 360 Field issues within these pictures. HoloBuilder, Inc. is a San Francisco-based construction technology company that designs, develops, and sells enterprise SaaS software. HoloBuilder offers reality capturing solutions for progress documentation and construction project management.